GOOD bouquet includes 10 stems. 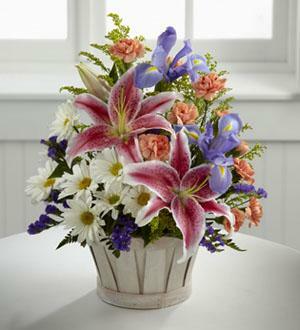 Approximately 15"H x 12"W.
BEST bouquet includes 17 stems. 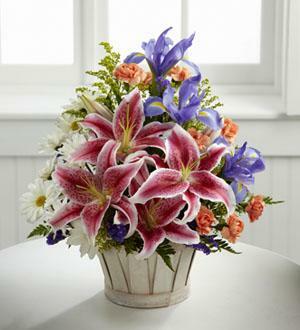 Approximately 17"H x 14"H. Lilies may arrive in various stages of development. 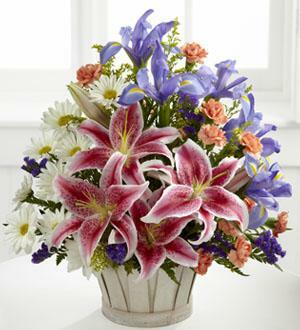 The lily blooms will continue to open, extending arrangement life - and your recipient's enjoyment..